Are you struggling to recover from a sporting injury? Are you finding the stress of city life is leading to aches and pains throughout your body? Do not let this affect your sport/work performance! At physio4life, our expert team do not just bring you in for a 30 minute session of pushing and prodding. Our team of experienced physiotherapists carry out a comprehensive 60-minute assessment of you and develop a tailored treatment plan to get you on the road to recovery and achieve your full potential. Call Physio4Life in Putney today on us on 020 8704 5998 or book an appointment online now. 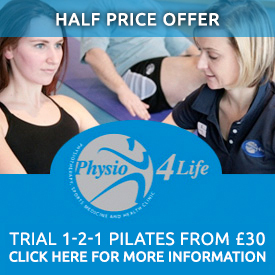 Why Physio4life as your Putney physio? Our team of expert physiotherapists can help you overcome your injuries and reduce your pain levels so that you can return to normal function. Our team will help empower you to improve your recovery and give you the skills for prevention of injury re-occurrence. 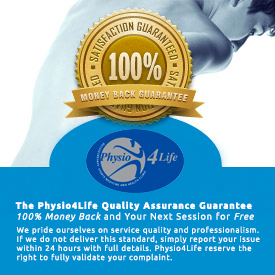 At physio4life, we pride ourselves in offering clients genuine value for money treatments. In our 60-minute initial assessments, our Physiotherapists get the chance to assess the whole body and look for all potential causes to your problem. This means that clients will benefit from a comprehensive assessment and can be sure that your injury and its causes are diagnosed. Whatever your goals, be it sport injury rehabilitation, improving performance or dealing with chronic pain our team tailor their treatments to suit you. Our team regularly attend professional development courses and training events and each member of the team is involved in in-house training each week to ensure the team is developing with the world of evidence-based physiotherapy. This ensures that clients receive the most appropriate treatments and techniques from our physiotherapists. Back pain is the leading cause of injury worldwide. Physiotherapy and exercise is one aspect of the management of acute and chronic back pain. Most back pain will resolve within 6 weeks, in the early stages you should consult a physiotherapist. People often fear movements such as twisting and bending but research shows movement in the early stages of back pain. Back pain should not stop you exercising and in fact, studies show that continuing with weight training can help get you better sooner. Our physiotherapists can help you pick appropriate weights and exercises to continue with during your episode of back pain. It is also important to note pain does not always equal damage, modern day physiotherapists realise this and that is why we at physio4life take a holistic approach to help people understand why they have pain. One in three people experience shoulder pain in their lives. The incidence of shoulder pain increases with age. Shoulder pain can be debilitating and can lead to loss of function of the muscles around the shoulder. This in turn can lead to altered movement patterns, which then causes more overload on structures around the shoulder. Physiotherapy plays a huge role in the prevention and treatment of shoulder pain. Physiotherapy and exercise have been shown to be as effective as surgery for shoulder impingement syndrome and rotator cuff tears. You should attempt physiotherapy for a minimum of 12 weeks. This means regularly carrying out exercise and getting treatment advice for how to progress your exercises. If improving in this initial 12 weeks you need to continue strengthening exercises for anywhere between 1-2 years depending on your problem. All our consultants are highly trained specialists with a wealth of experience in treating a range of shoulder problems. We regularly get asked, “Is it possible to change my running technique if this is the way I have run all my life?”. The simple answer is YES! We can use some subtle cues to make a big difference to your technique. This can serve to improve your running economy, enhance your performance and correct movements that have been causing you injury. Where it can become slightly more complex is making sure you are able to adapt to this alteration, including the progression and structuring of your training methods. 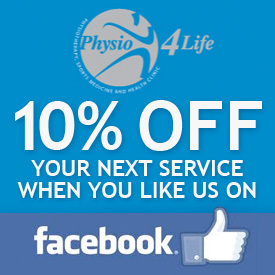 In our Running Clinic at Physio4Life this is a service we provide for you. We will take you step by step through your personal Gait Analysis, Physical Assessment and Rehabilitation Plan. The causes of running injuries vary depending on their nature and individual characteristics. At Physio4Life we believe that a thorough assessment is required to establish the root cause of your pain and consequently we develop a specific program tailored to your needs. In our Running Clinic we will assess the strength, stability and flexibility of your trunk and lower limbs. Our experts will also assess your foot posture both statically and dynamically to the best type of running shoe for you or whether an orthotic may be appropriate before we carry out a unique video running analysis. This enables us to identify and correct any faulty movement patterns. Interested in finding out more about our services? Call 0208 246 6409 today or book an online appointment right now to start enjoying the benefits of a healthier pain-free you.